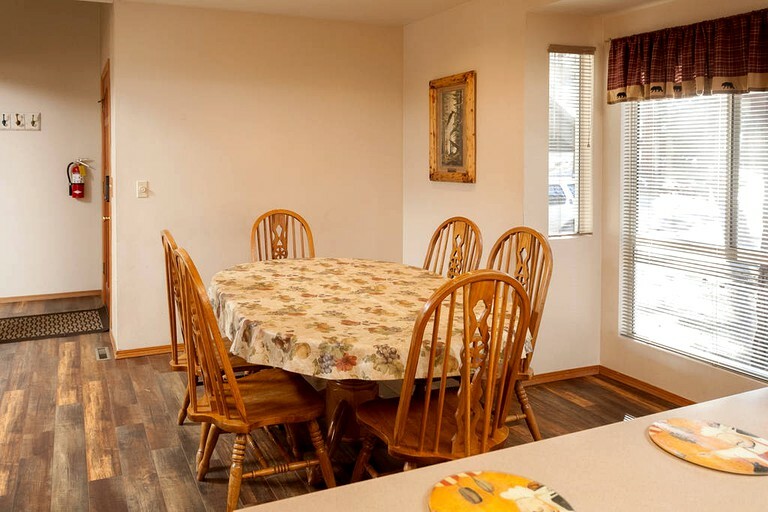 The house was exactly like it showed in pictures. Location is good. The kids enjoyed having the jacuzzi . 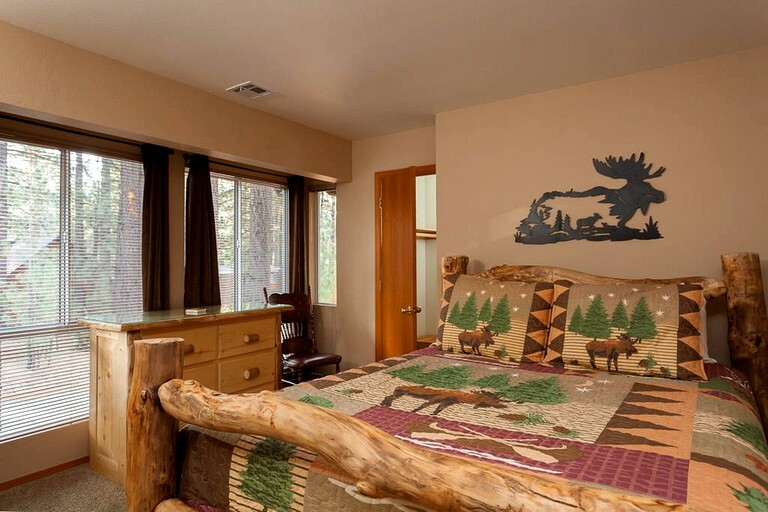 This spectacular cabin getaway is located in Big Bear Lake, California, and can accommodate 10 guests. 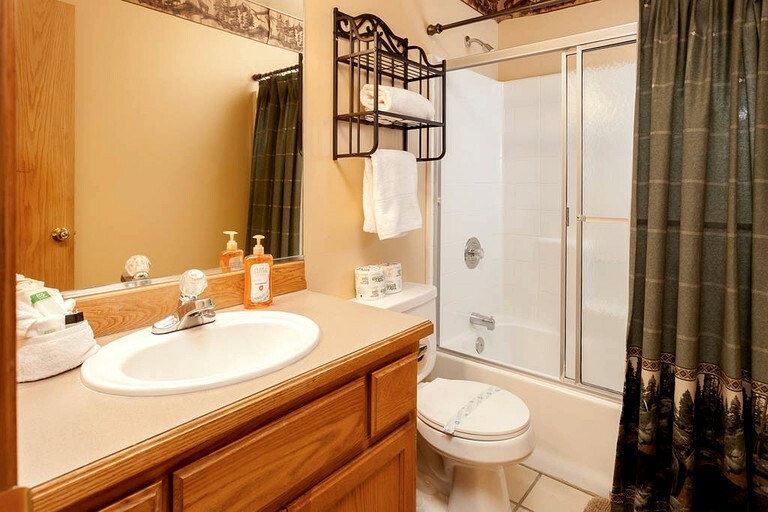 There are three bedrooms and three full bathrooms. 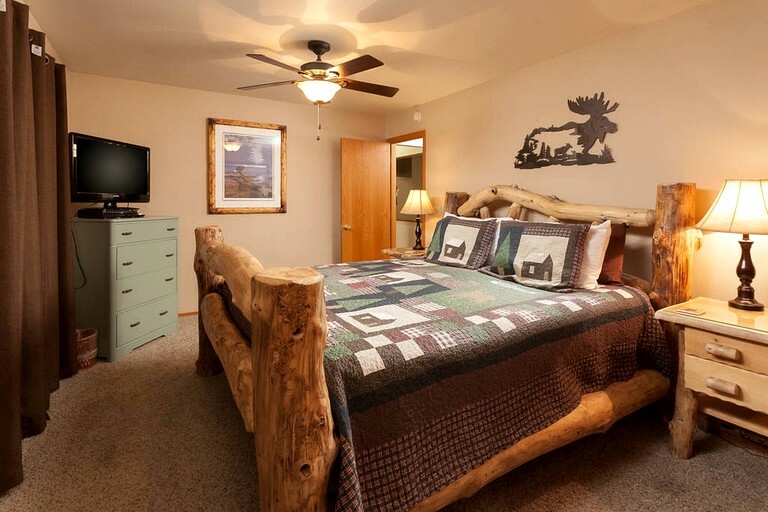 The first bedroom has a king-size bed and a television, while the second has a bunk bed and two twin beds. 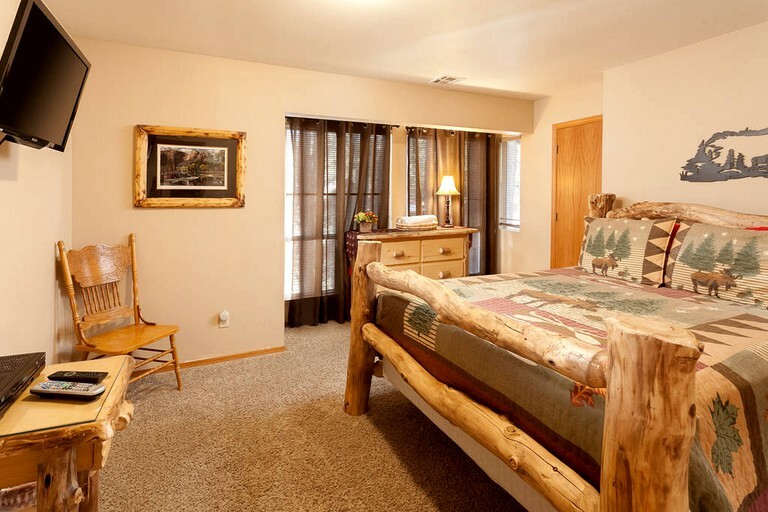 The third bedroom features a queen-size bed and a television. 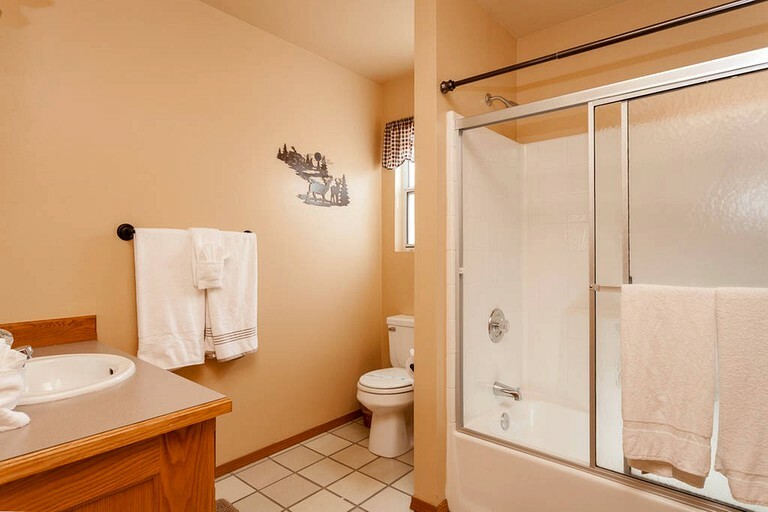 In two of the bathrooms, guests will find a toilet, a sink, and a combination bathtub/shower, while the final bathroom has a toilet, a sink, and a shower. 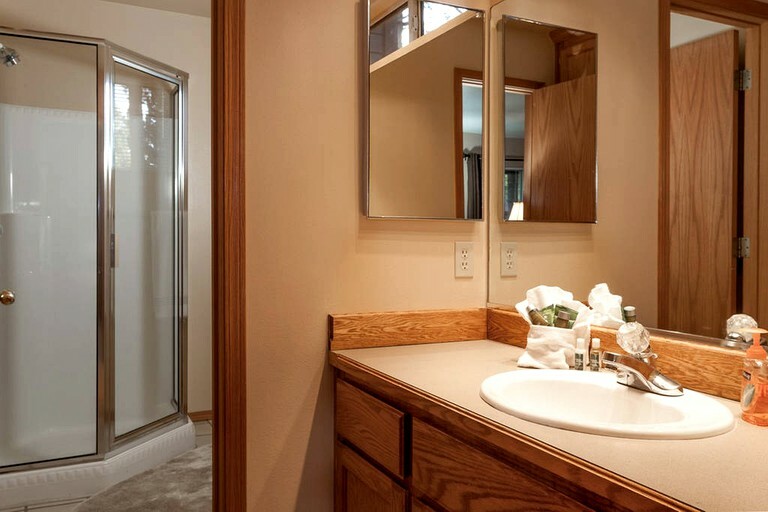 Linens and towels are provided, along with a hairdryer. 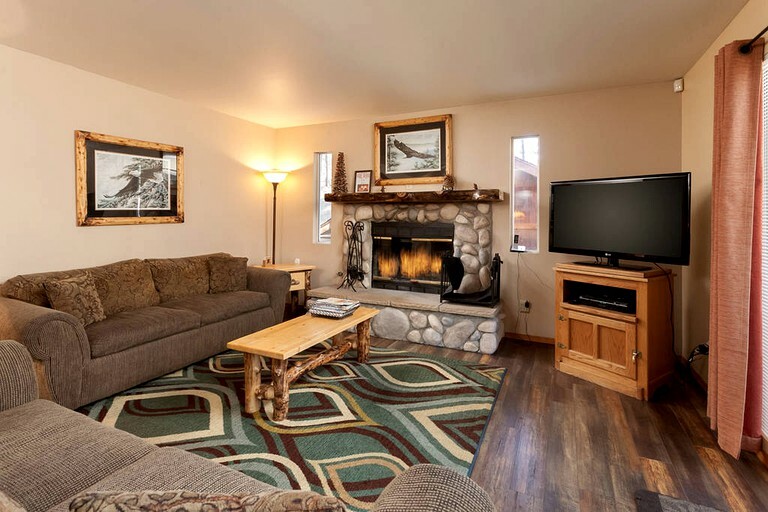 In the living room, guests will find a flat-screen cable TV with Netflix, a DVD player, video games, and a fireplace. 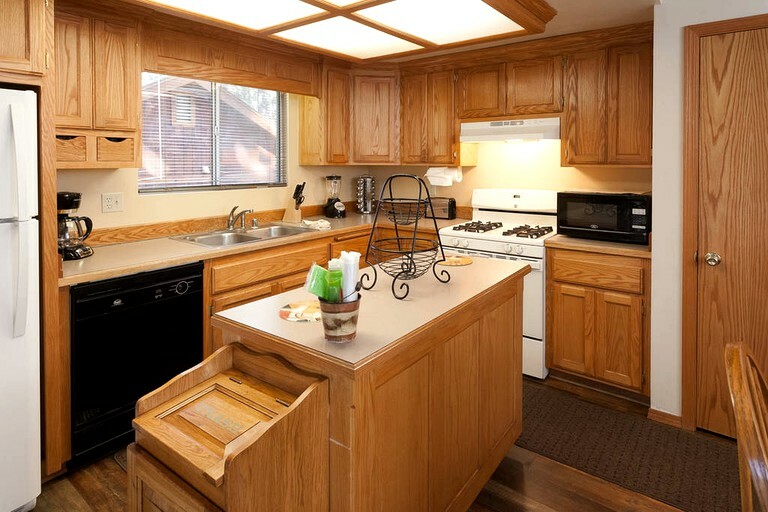 The fully-equipped kitchen comes with a refrigerator, a dishwasher, an oven, a stove, a microwave, a coffeemaker, a toaster, and a blender. Utensils and other kitchenware are also supplied. 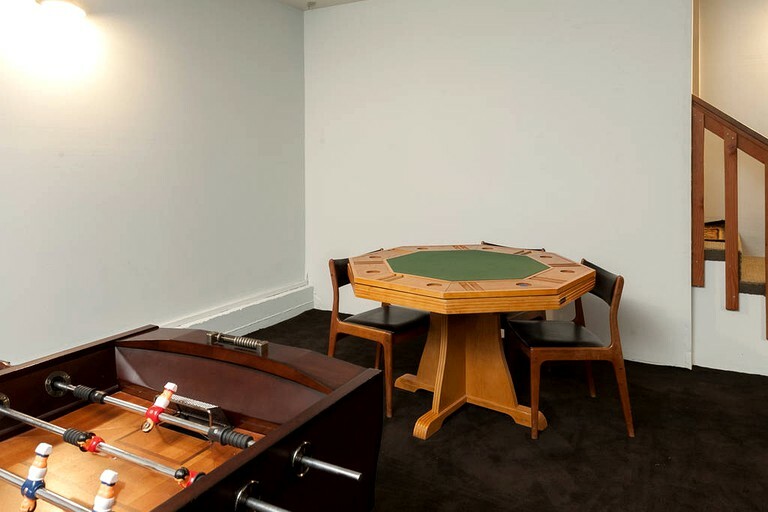 A separate game room features a foosball table, a poker table, and a pool table (along with board games and books). 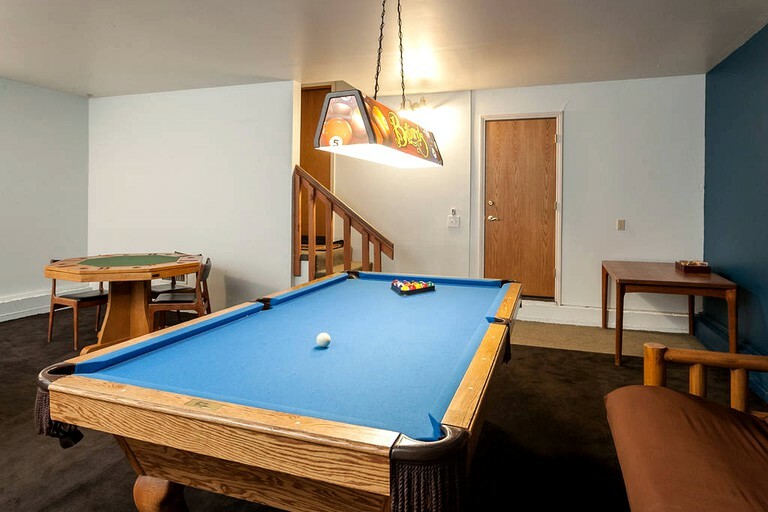 Other amenities include high-speed Wi-Fi, a telephone, central heating, ceiling fans, an iron and board, and a washer and dryer. 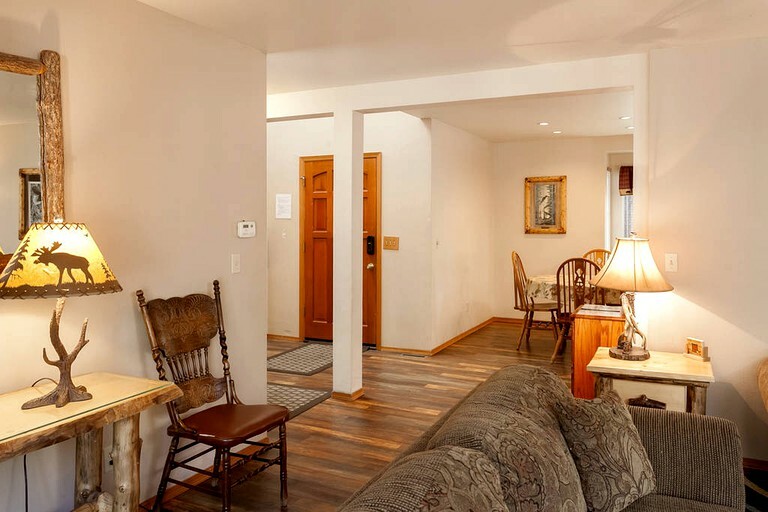 Modern amenities such as Wi-Fi are provided for the comfort of guests. 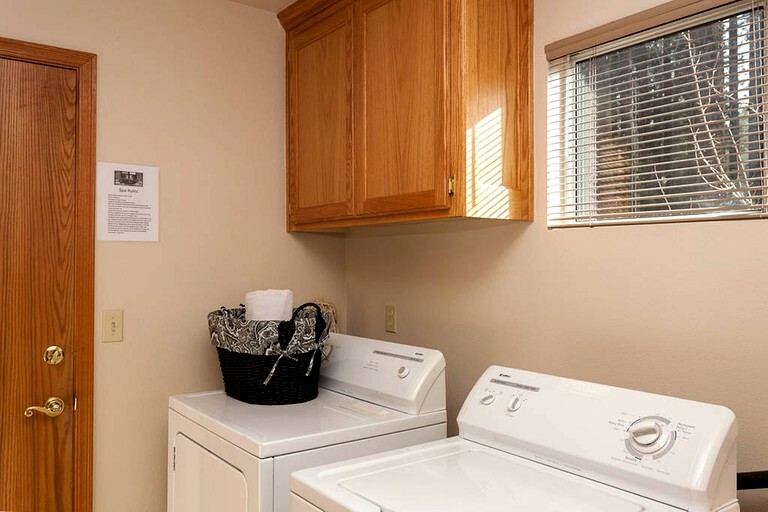 Laundry supplies such as an iron and board, and a washer and dryer, are available to guests so they can keep their packing light. 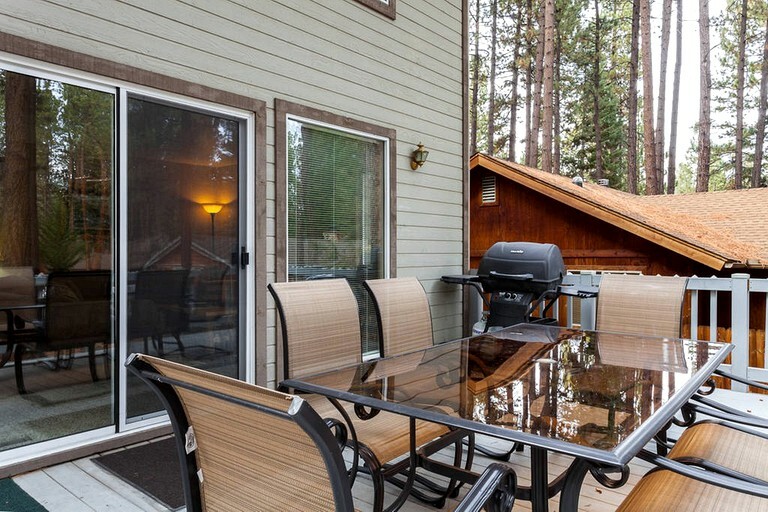 With a barbecue grill outside and fully equipped kitchen, guests can cook up a storm and enjoy their meals either in the comfort of the indoors, or the freshness of the outdoors on the spacious deck (and afterward, soak in the gorgeous hot tub under the stars!). 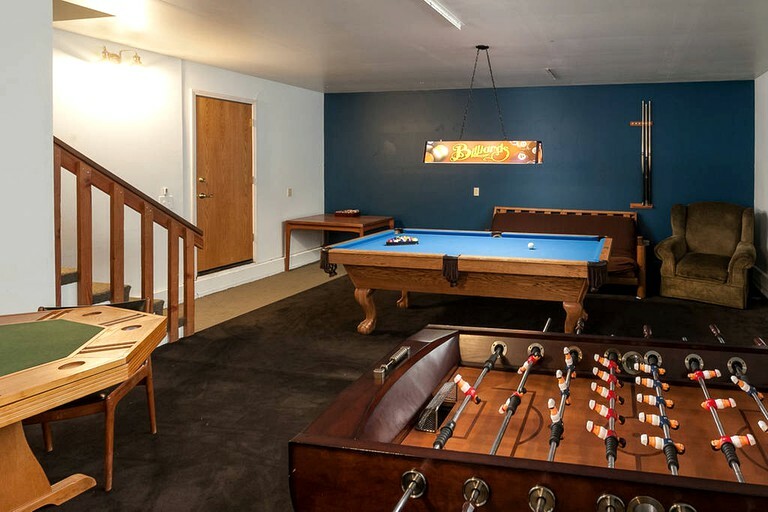 Guests should aim to capitalize on the awesome game room inside the cabin, complete with foosball, pool, and poker tables and the perfect opportunity to have fun and unwind during their vacation. 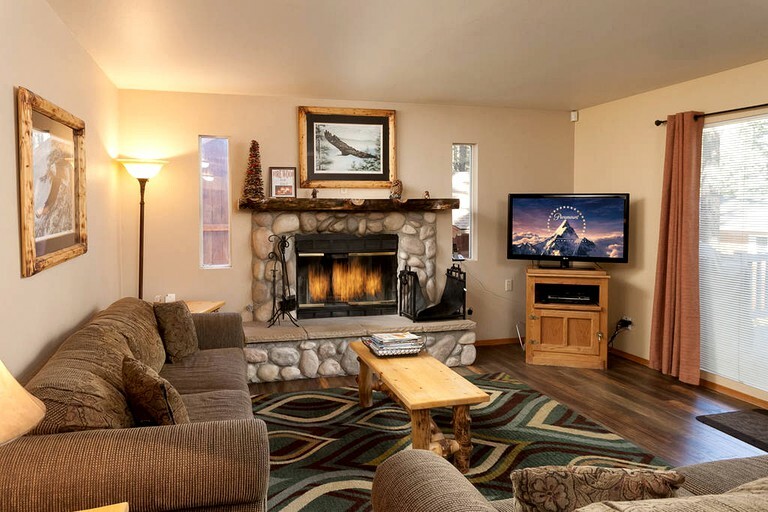 If the temperature plummets, then boot up the fireplace and watch something classic on Netflix, or simply suit up and stroll over to the entrance to Snow Summit (yes, it really is within walking distance!). 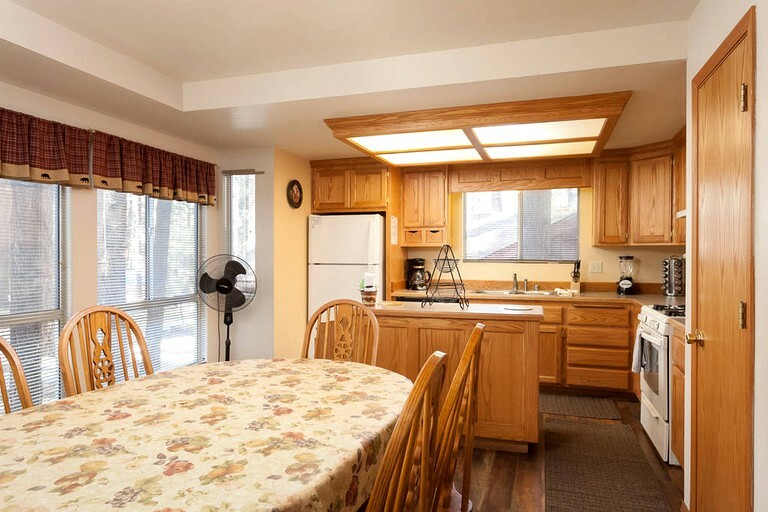 This vacation rental is located in Big Bear Lake, California, and is situated mere moments away from one of the state's most enduringly popular holiday destinations. 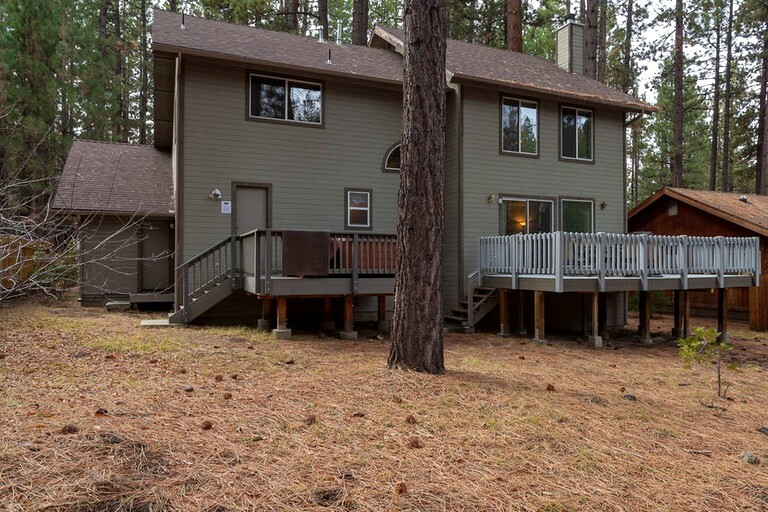 In addition, the property is within walking distance to Snow Summit Resort. 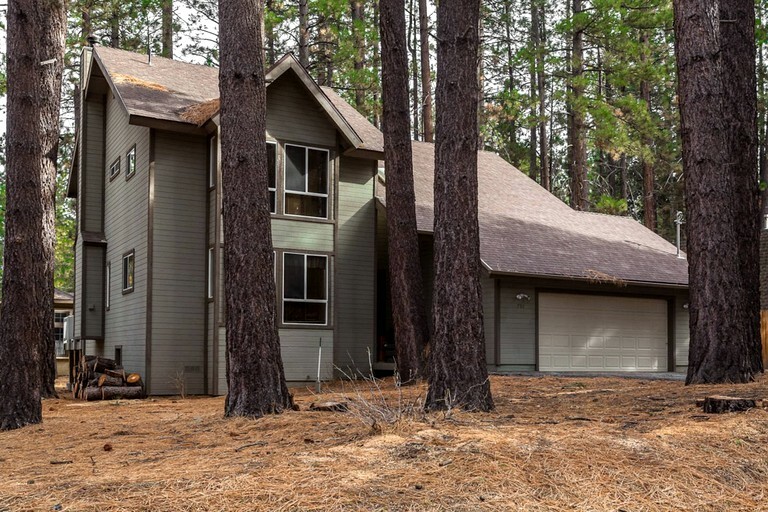 Avid fishermen flock from across the state, and even the country, to try their hand at the fishing opportunities on offer in Big Bear Lake; bass, catfish, and trout are all found in the lake and can make for memorable catches. 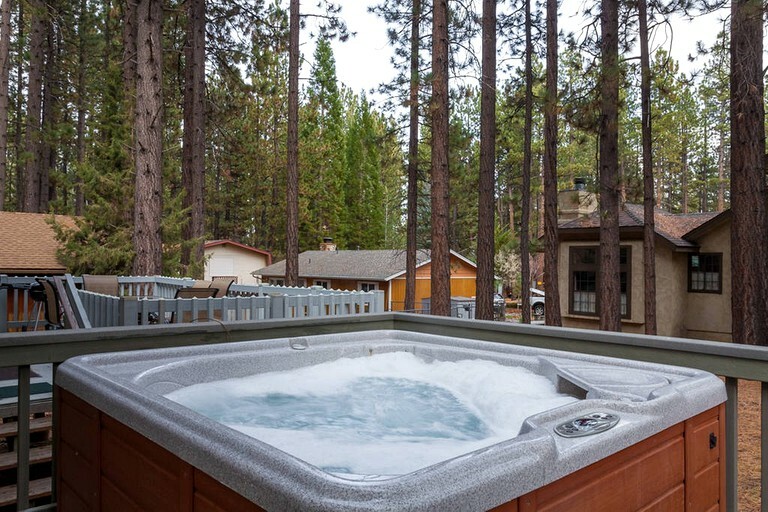 For those looking to explore the great outdoors, mountain biking, horseback riding, and hiking are all very popular, as trails that match every skill level criss-cross the surrounding area (especially in the neighboring San Bernardino National Forest). 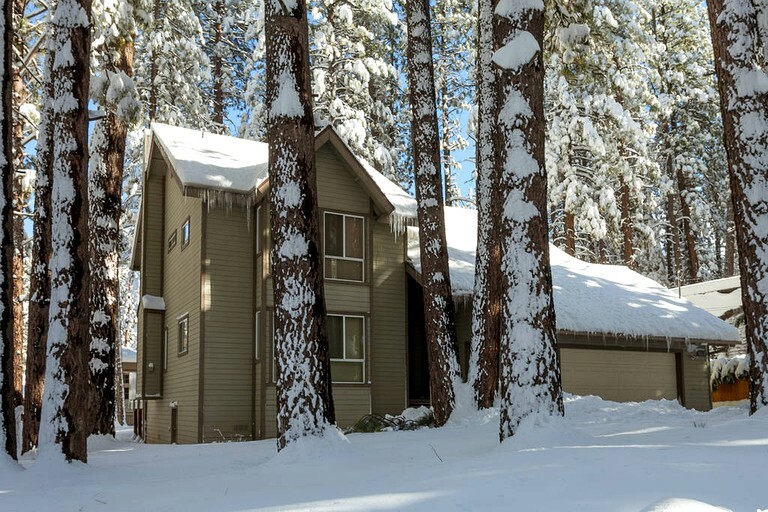 Big Bear Lake's reputation as a year-round vacation hotspot is well-earned, with a variety of ski fields and runs come the time of year when the air gets chillier, with particular note going to Snow Summit and Bear Mountain resorts. 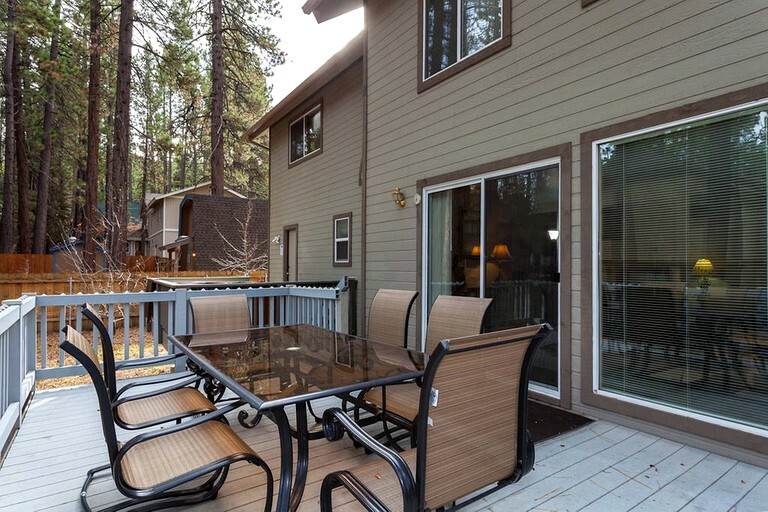 Family-oriented activities can be encountered on nearly every corner of the town of Big Bear Lake itself, with the Funplex providing laser tag and arcades for indoor fun, while Magic Mountain features water slides and winter bobsleds so that no matter which season guests go, they're sure to have a memorable time. A cleaning fee and a tax apply. Additional surcharges apply if pets also stay. 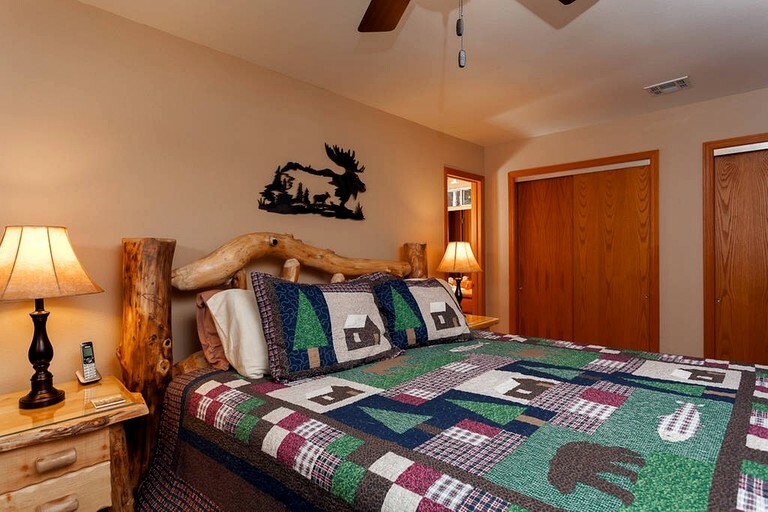 Rates fluctuate depending on the time of year. 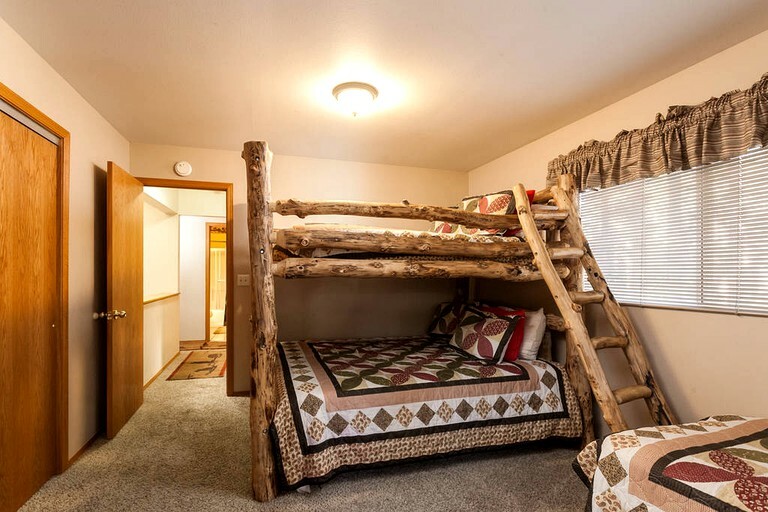 A refundable security deposit of $150 applies.